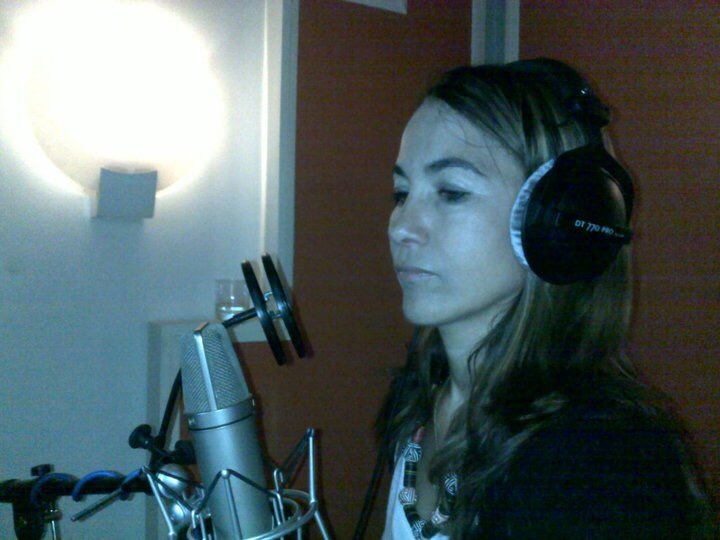 I am a professional voice actress and singer, and a “vocal acrobat”. My lightweight soprano voice can be aerial and sparkling like a bubble, dynamic and complicit like a zest, institutional and reassuring as a halo, or cartoon like with a shine of laughter. Voice over is my passion since 2001. I represent big brands such as Orangina, Signal, SNCF, Axe amongst others, for TV, radio and cinema. I also embody some great cartoon characters: “Little Brown Bear, Tom Tom and Nana , a Bug’s Life (Walt Disney) and lastly the Fifolette Fairy. I use my voice to produced spoken, sung, or dubbed audio, whatever the form needs to be. Since 2000 I sing in studio and on stage professionally. In 2001, I had the opportunity to record the whole album of Tom Tom and Nana’s “Concert Eskeptionnel“. I was then projected into the world of the acting voice, which revealed by my imagination, my psychology, but also my little grain of madness. I always find the intention that makes you laugh, that is touching, that makes you dream and that is the ONLY WAY. Later, in 2007, I trained at the radio at “Ina“, I discovered animation and radio journalism, I landed at “TSF Jazz” where I reconciled my passion for voice, writing, reporting on the ground and the adrenaline of live radio. Today I participate regularly in workshops of “initiation to radio journalism” for children proposed by “Globule radio” in Chamonix. The transmission is on the way. Despite my experience and my international education, I define myself as a “french voice“, I can not hide it ! I recorded a “Shiseido” commercial for Japan. I speak and sing in English, German, Italian, Hebrew, Arabic, but always with “french touch”.